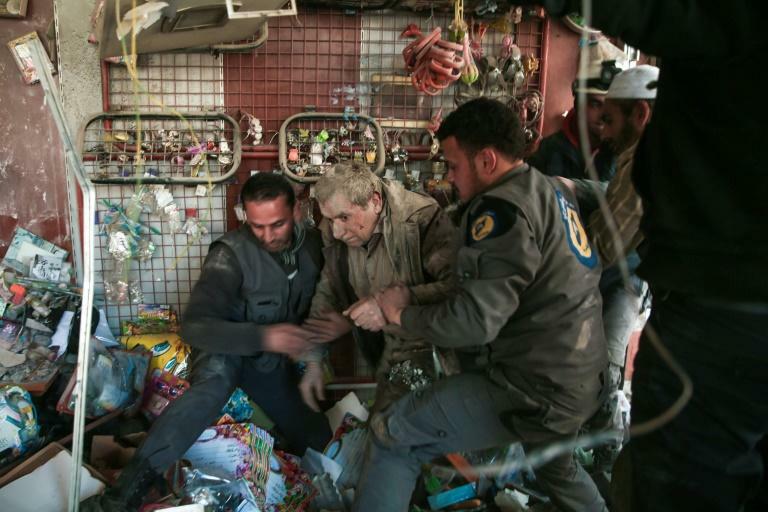 Israel evacuated hundreds of White Helmets rescuers and their family members threatened by advancing Syrian regime forces to Jordan on Sunday for resettlement in Western countries. Jordan's foreign ministry announced in a statement that the kingdom received 422 Syrian citizens, after earlier saying it had given permission for 800 to arrive. Foreign ministry spokesman Mohammed al-Kayed said Britain, Germany and Canada had initially agreed to accept around 827 rescuers and their relatives, but eventually settled on a figure of 422. He said they would be allowed to stay in Jordan for a period of time not exceeding three months. A Canadian government source told AFP that a second group of White Helmets and their relatives was also supposed to be evacuated but "could not reach the border because of the situation on the ground." The group is still in Syria and it is not certain that a new effort to bring them out can be mounted due to the "precarious" situation there, according to the source. The Israeli military said it had transferred the rescue workers and their families to a neighbouring country, adding that the operation was "exceptional". "A few days ago President Trump and Canadian Prime Minister Trudeau and others approached me with the request to help extract from Syria hundreds of White Helmets," Prime Minister Benjamin Netanyahu said in a statement. "These are people who save lives and now find themselves in deadly danger, therefore I approved bringing them through Israel to another country as an important humanitarian step." Israel seized 1,200 square kilometres (460 square miles) of the Golan from Syria in 1967, in a move never recognised internationally. "We are glad that these ‎brave volunteers, who have saved thousands of lives, are now out of harm's way," the US State Department said of the White Helmets. Britain's Foreign Office said it had helped facilitate the overnight evacuations. 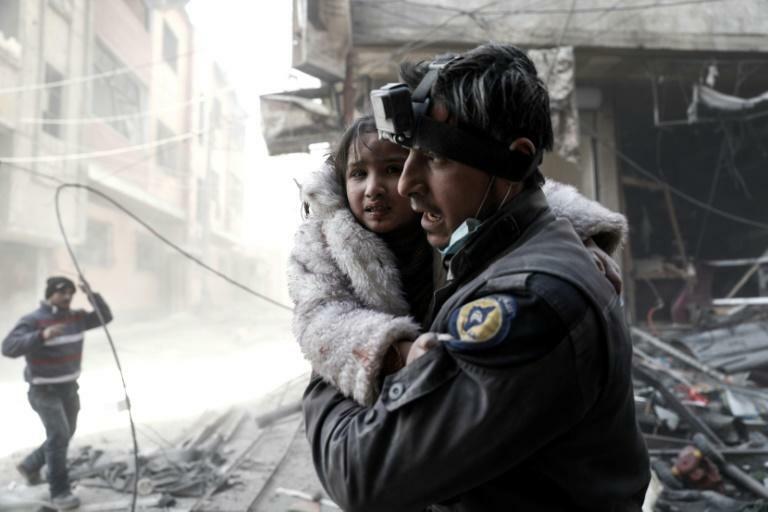 "White Helmets have been the target of attacks and, due to their high profile, we judged that, in these particular circumstances, the volunteers required immediate protection," it said. The move was "an expression of my stance of ensuring humanity and order in migration policy," he said. Canada will take in up to 50 White Helmets volunteers and their families, totalling up to 250 people, officials said. "A group of core countries have committed to resettle a number of White Helmets. Canada is resettling up to 50 members and their families, and is working with the international community to assess remaining needs," said Canada's foreign affairs spokeswoman Elizabeth Reid. Ottawa confirmed that Trudeau spoke to Netanyahu Saturday about "the regional security situation and the evacuation of White Helmets from Syria". Israel's Haaretz daily said the evacuees also included orphans who had been injured in the Syrian fighting. "It's our country and we have a right to live in it in safety," he told AFP, however adding he was among a minority who wished to remain. "We are first and foremost a humanitarian organisation, not a military one, or a terrorist one as the regime alleges." Since its formation, when Syria's conflict was nearing its third year, more than 250 of its volunteers have been killed. The group's motto -- "To save one life is to save all of humanity" -- is drawn from a verse in the Koran, although the White Helmets insist they treat all victims, regardless of religion. 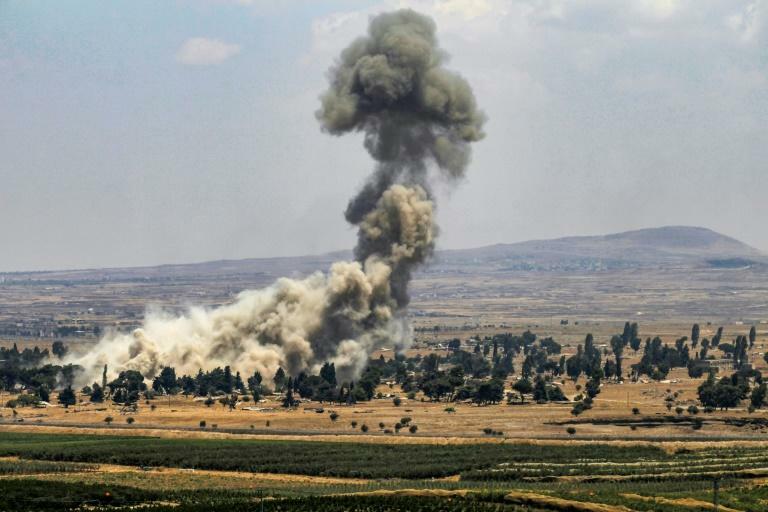 On June 19, Syrian government forces launched a Russia-backed offensive to retake Daraa and Quneitra provinces.